The Community Planning Aberdeen Board has endorsed a refreshed Local Outcome Improvement Plan (LOIP) 2016-26. This new plan has been developed over the course of six months following the Taking Stock event in September 2018, in partnership with colleagues from all partner organisations across Community Planning Aberdeen. The outcome of the event was an agreement of a rationalised set of priorities for the Partnership going forward. 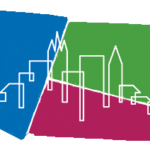 This refreshed LOIP reflects the Partnership’s renewed focus on these priority issues which have been identified from data available from the Population Needs Assessment, Partnership performance data, City Voice and data from improvement work. The vision for Aberdeen remains as ‘a place where all people can prosper’. This reflects our desire to help all people, families, businesses and communities to do well, succeed and flourish in every aspect, regardless of their background or circumstances. The refreshed LOIP has been structured around three strategic themes of Economy, Place and People (children and young people; adults) and key aspirations which the partnership aims to achieve by 2026. Through the delivery of this Local Outcome Improvement Plan, we will push our joint resource investment toward early intervention and prevention to secure the future of our economy, people and place in all communities.